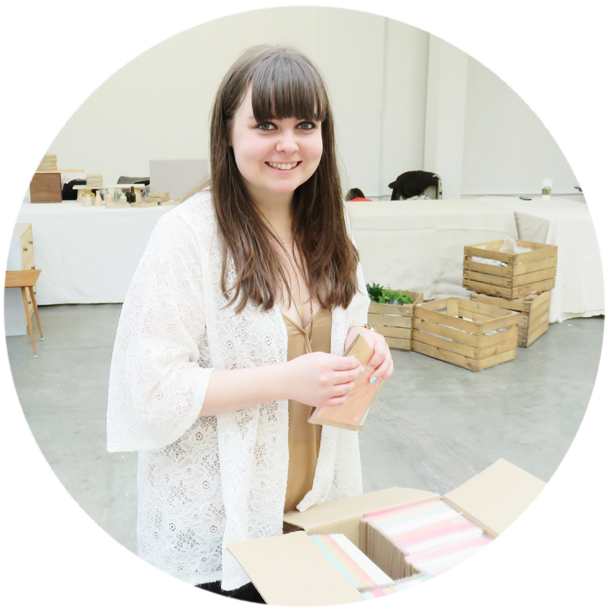 Emma Margaret Illustration: Shop: We are Open! 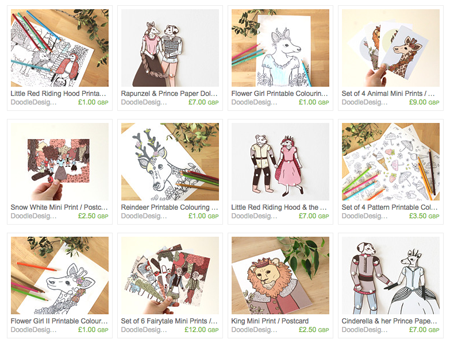 So, I have FINALLY gotten around to sorting out the products and re-opening my shop! The virtual shelves are now filled with lots of fun and colourful products including paper doll kits and downloadable colouring sheets! 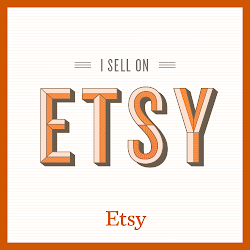 You can purchase all the new item from my Etsy store as always, but thats not all. 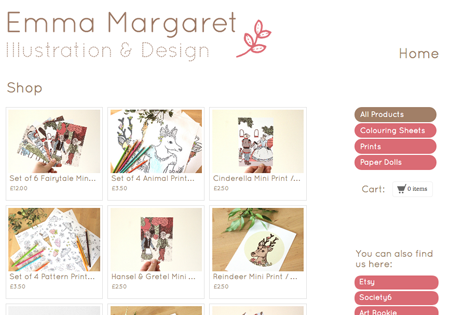 I've also just launched my new shop on my website, so you can buy directly from there using Paypal without having to sign up to Etsy! Go ahead and have a little browse through either of the shops. Orders over £8 receive a little free gift! I hope you like all of the new products!